The advice of a top quality caddy on the PGA tour can easily command annual earnings north of six figures. Caddies are as much a staple of golf as golf balls and tees. That's because they've been a part of the game for centuries. The term caddy has been around even longer than golf, and the role of caddies has evolved considerably over the years. According to Scottish golf lore, the term caddy is derived from the French word, "le cadet." This term means, "the boy," or, "youngest of the family." The word "cadet" first appeared in English in 1610, with the word "caddy" following shortly thereafter in 1634. The Scots once made it a common practice to adopt French terms as their own, including "Gardez-vous" as "gardyloo." A theory promoted by many is that French military cadets carried the golf clubs for French royalty, upon which the practice came to Scotland in the 1500s. The term "cadet" came with it, changing over to "caddy" in the Scottish sense. Merriam-Webster defines a caddy as, "one who assists a golfer, especially by carrying the clubs." It also cites the French origin of "cadet," and its translation to Scottish afterward. In 18th century Scotland, caddies were regarded as general-purpose errand boys looking for odd jobs in Scottish towns and villages, particularly for delivering water. It wasn't until the mid 1800s that the role began to involve routinely carrying golf clubs. Back in those days, not all players had bags, thus the clubs were carried in bundles. Caddying is no longer tailored to those looking for odd jobs, but rather, to those looking to make a living. 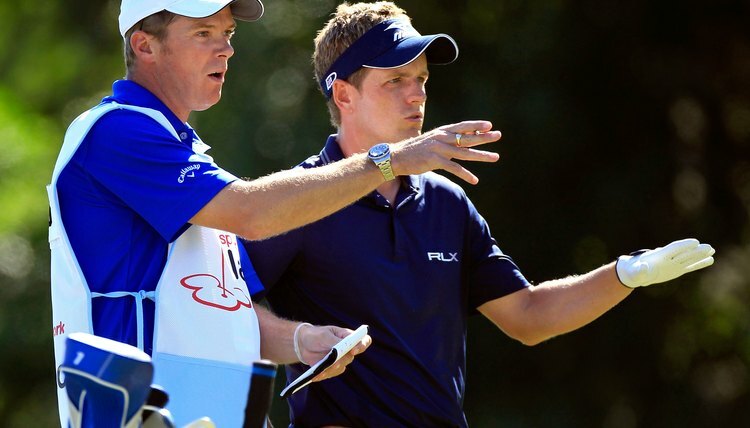 PGA Tour caddies can make six-figure incomes not only carrying clubs for PGA Tour pros, but also offering advice on club selection, putting strategy and wind/weather conditions.